Until now, Anthony Lopes has been present in 40 games. Anthony Lopes stands 184cm high and thus is 4cm taller than his team on average. Back in 2009, Portuguese goalkeeper Anthony Lopes'' contract with Olympique Lyon (France), the club he is still a member of, took effect. 31% of Olympique Lyon's football players are left footers and so is Anthony Lopes. He is four years older than his team's average age, as he was born on 01.10.1990. He is currently second in group F of UEFA Champions League, eleventh in Int. Champions Cup and third in Ligue 1 (France) with his team Olympique Lyon. He has one own goals in his CV, which happened during a Ligue 1 14/15 (France) match with Olympique Lyon. 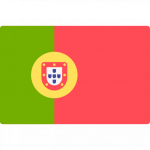 Before joining Olympique Lyon, Anthony Lopes impressed at Portugal. His longest stay in a team counts nine years and 10 months in his current club. It's been eight days since he played his latest match. Throughout his time as professional football player, Anthony Lopes was sanctioned with a card only nine times resulting in a mean value of 0.31 cards per play time. This season he was given but one penalty. 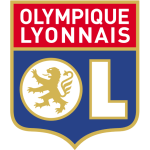 Apart from Anthony Lopes, Mathieu Gorgelin, Anthony Racioppi and Dorian Grange are also goalkeepers of Olympique Lyon. So far this season, he won 17% in UEFA Champions League, lost 67% in Int. Champions Cup and won 60% of Olympique Lyon's matches in Ligue 1. They also managed to win 3 fixtures in a row in Ligue 1.